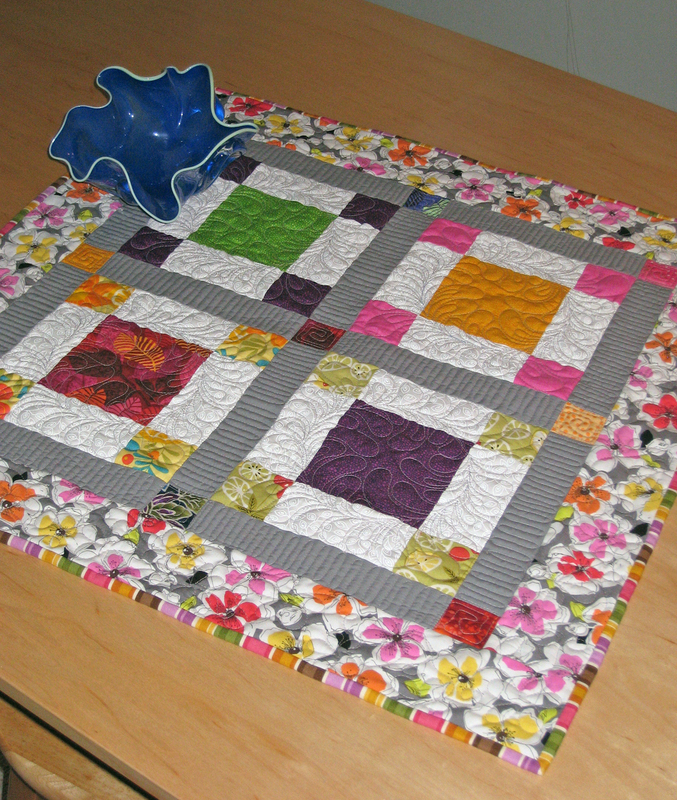 Start with four beautiful print fabrics for the blocks, add coordinates for each print, then pull it all together with unique pieced sashing elements and a fabulous border print. Easy and fun to make! BONUS! 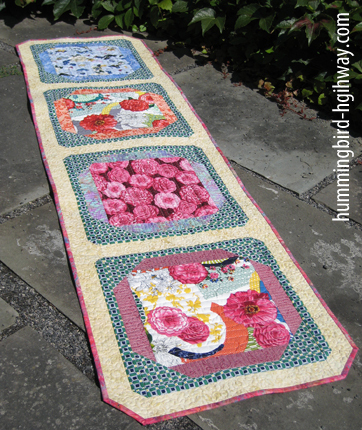 Add a super-sized table runner for a matched set. 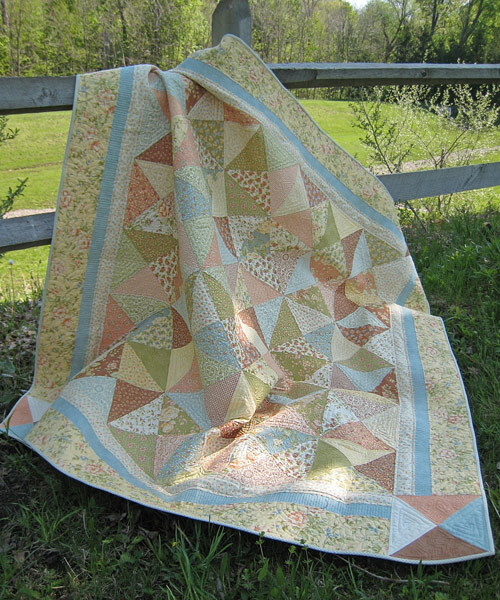 Easy blocks feature large scale prints and colorful coordinates. 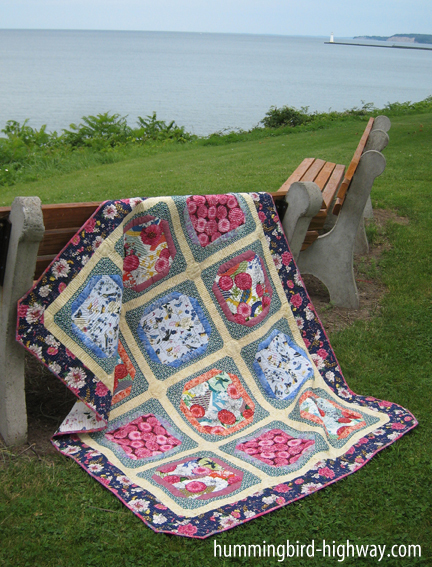 Fabric requirements include enough materials for the lap-sized quilt and coordinating super-sized runner. 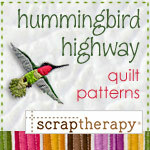 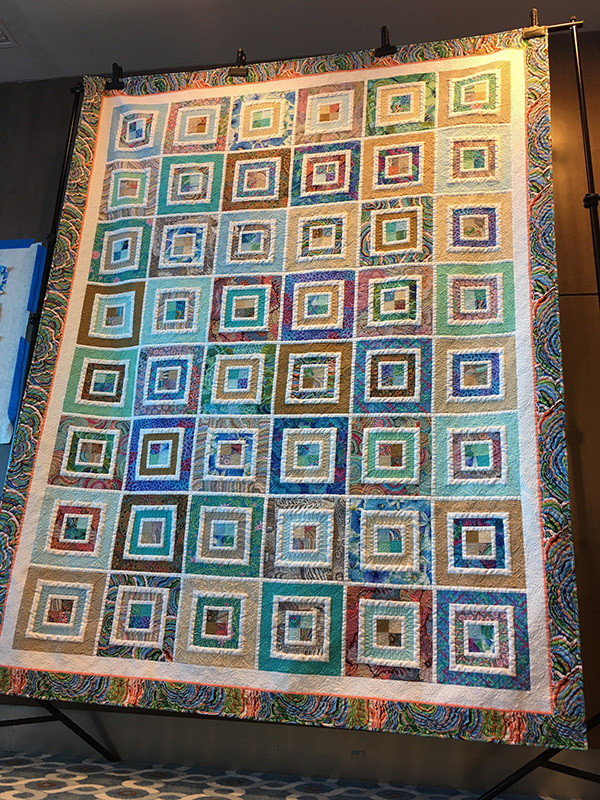 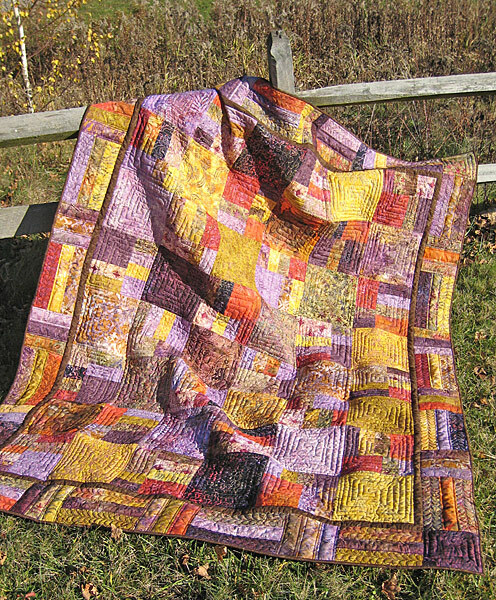 Novice and advanced quilters will both enjoy this no-waste project.